Nicky Siano first came to prominence as the acclaimed resident DJ of New York’s iconic Studio 54. 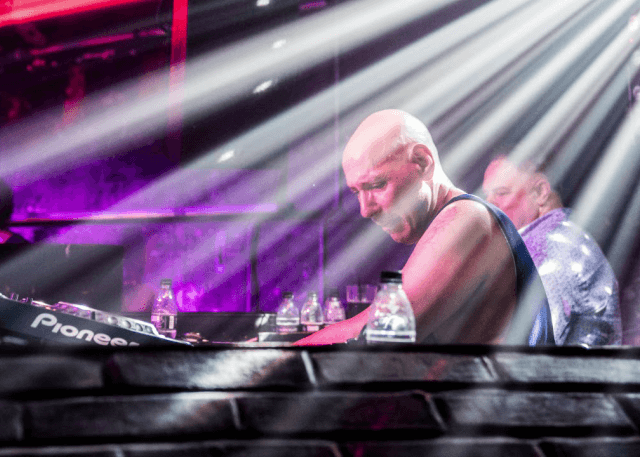 Expanding upon his world-renowned DJ sets, the legendary Studio 54 resident has created the Nicky Siano Hallelujah Disco – an ecstatic show consisting of Nicky DJing alongside a full gospel choir performing classic disco tracks. This life-affirming event tells the story of Nicky Siano, New York City and disco itself. Debuting the show to London’s XOYO in summer 2017 (where it sold out each night), Nicky has since taken the show to Manchester’s Albert Hall and beyond. With the Hallelujah Disco, Nicky has proven himself to once again be a pioneer in disco, gospel, dance music and live performance itself. “Gospel; it’s poignant, powerful, and you can dance to it. It takes you to a whole different place.” – Nicky Siano.